Cold Fusion. Cold fusion was initially accepted with great excitement. It then appeared to be discredited. However, at the present time, there are been some two hundred labs. which have confirmed the findings and so there is no doubt as to the reality of the system. In essence, it is said that nuclear fusion can take place at room temperature, under certain conditions. However, a commercial working device is now reaching the market with details at Stirling Allen’s website. If you want the background details of cold fusion history, then there are several web sites which follow the progress in this field, including “Cold Fusion Times” here where considerable detail is available. However, although a cold fusion generator is unlikely to be something which you can knock together in your back yard, the process is edging steadily towards general use. In 2012, the Rossi "Ecat" cold fusion generator is expected to launch. The web site ecat.com is already taking orders and the home unit producing 10 kilowatts, is expected to sell for US $500 and have an annual running cost of just $20. 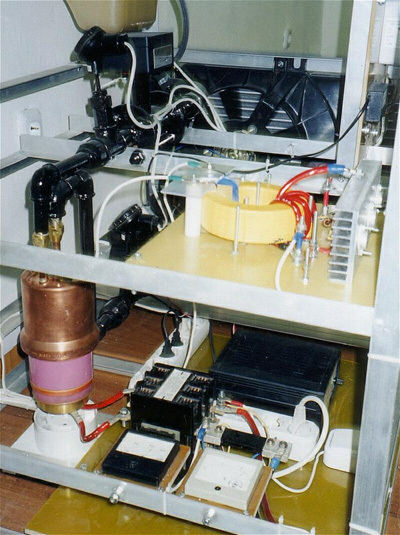 The Frolov / Moller Atomic Hydrogen Generator. One already successful experiment can be found here where J.L. Naudin shows many successful tests on a system which can be found here. Alexander Frolov remarks that due to the water pump being externally powered, the results shown by J.L. Naudin are not quite accurate although the error is not significant for power levels below one kilowatt, and so the performance is actually very slightly less than that reported. This system started with William Lyne’s concept which he published in his book “Occult Ether Systems” in 1997. In 1999, Nikolas Moller bought a copy of Lyne’s book and drew the attention of Alexander Frolov to the idea. Alexander then worked on the idea and produced both the present theory and design. A joint project was then started between Alexander’s Faraday Company Ltd. of St. Petersburg in Russia (www.faraday.ru) and Nikolas’ company Spectrum Ltd. The prototype shown in the photograph below, was then built by Alexander and passed to Nikolas where it was tested extensively. The exact process involved in the energy gain has only recently been fully disclosed in Alexander’s book entitled “New Energy Sources”. The technique used involves repeatedly converting a quantity of hydrogen gas from its diatomic state (H2 where two hydrogen atoms are bonded together to form a stable molecule), to its monatomic state H-H (where two hydrogen atoms remain as separate atoms, not closely bonded together) and back again to it’s original form. No hydrogen is consumed. No additional gas is required. The gas is just converted from one state to the other, repeatedly. The problem for conventional science is that the output power measured in tests is considerably greater than the input power in carefully measured tests which were run for periods of more than half an hour each. The additional power is flowing in from the Zero-Point Energy field due to an energy extraction mechanism caused by the collision of molecules which have very different atomic weights. This is explained by Dr Frolov in his paper where the energy imbalance is described in detail. In it, he observes that the theory shows clearly that an input of 1,400 watts is capable of producing an output of 7,250 watts due to the impact energy imbalance between high-mass and low-mass molecules when they collide. US Patent References: 5033565	July 1991	Abukawa et al. 5036267	July 1991	Markunas	5785136	July 1998	Falkenmayer et al. These two cells have been in use in two different vehicles for more than a year now. The vehicles are Ford Transit vans with 2.5 litre diesel engines. One is sixteen years old and the other is seventeen years old and the Nitro Cells have given a 10 mpg improvement from the day that they were installed in spite of the vans being heavily loaded when being used. The original mpg was 25, so the resulting 35 mpg represents a 40% improvement over a long period. These cells are run without salt and they work equally well without the wire wrap suggested in the design. The vertical cell is 18 inches tall and 4 inches in diameter and it has a rubber diaphragm on top which acts both as a seal and as an anti-slosh device. 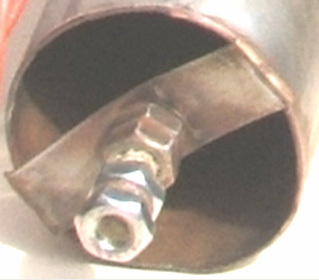 The inner cylinder gives a 9 mm gap between the inner and outer cylinders. The cell ends and spacers are made from plastic food-chopping board. The top spacers are about 30 mm long as it was found that vibration tended to dislodge shorter ones. This vertical “slow” cell is very easy to build. This prevents water from entering the engine when a certain boy-racer tries to negotiate corners at the speed of light. 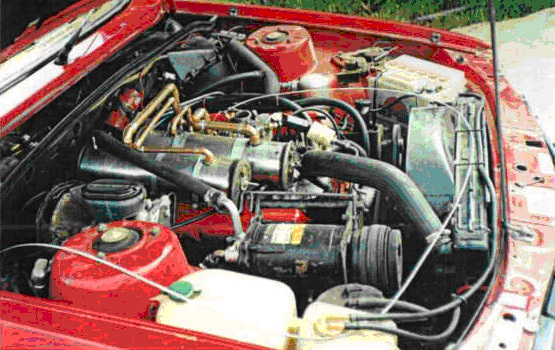 The horizontal cell was plumbed in using a plastic 12mm pipe connected to the inlet manifold. Personally, I don’t think these cells like speed and they seem to respond best when driving around 50 mph – this is for a single cell on a diesel engine. The cell is wired in as standard, only on a diesel, the relay is connected to the fuel cut-off valve, making it very easy to wire, and when the engine is switched off, then the cell is turned off at the same time. Using a miniature version of the upright cell, the bore-hole water which I use, is pre-charged on the bench for as long as I feel it needs to be, just to remove some of the material suspended in it. Topping up with water is done every 750 miles or so and takes about an egg cup full of water. All in all, the Nitro Cell is a good honest working device, it is a simple drive-and-go piece of kit that has saved me around £500 in two years and will carry on doing that for ever. 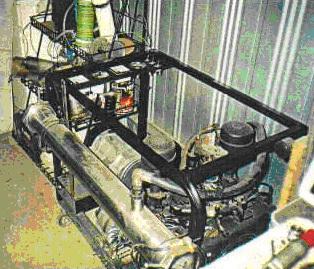 The “MEG” Motionless Electricity Generator. Tom Bearden, Stephen Patrick, James Hayes, Kenneth Moore and James Kenny were granted US Patent 6,362,718 on 26th March 2002. The patent should never have been granted as it is in direct conflict with patent 5,926,083 granted two years earlier to Kelichiro Asaoka, which implies that the MEG patent is solely for the purpose of blocking other genuine patents. This patent is for an electromagnetic generator with no moving parts. This device is said be self-powered and is described and illustrated on JL Naudin’s web site at http://jnaudin.free.fr/meg/megv21.htm where test results are shown. While this device has been claimed to have a greater output than its input and an output five times higher than the input has been mentioned, I am not aware of anyone who has attempted to replicate this device and achieved a COP>1 performance, and so, for that reason, it is described in this section describing devices which are unlikely to be worthwhile for the home-constructor to attempt to replicate. The “Motionless Electromagnetic Generator” or “MEG” consists of a magnetic ring with output coils wound on it. Inside the ring is a permanent magnet to provide a steady magnetic flux around the ring. Superimposed on the ring are two electromagnets which are activated one after the other to make the magnetic flux oscillate. A re-worded excerpt from the patent for this system, is in the Appendix and it gives the construction details of the prototype: dimensions, number of turns, materials used, drive frequency, monostable pulse durations, etc. This device is essentially, a custom-built transformer with two primary windings (the oscillator coils) and two secondary windings (the pick-up coils), with a permanent magnet inserted to create a standing magnetic field through the yoke (frame) of the transformer. However, a permanent magnet has two separate energy streams coming from it. The main field is the magnetic field which is very well known. It normally flows out in every direction, but in the MEG, a very good conducting path is provided by the frame of the device. This traps the magnetic energy flow and channels it around inside the frame. This prevents it masking the second energy field which is the Electrical energy field. The MEG looks like a very simple device, but in actual fact, it is not. To act as a successful device with a Coefficient of Performance (COP) over 1, where the input power which is provided is less than the useful power output of the device, then Tom Bearden says that the frame needs to be made from a nanocrystalline material. This material has special properties which is supposed to give the MEG exceptional output. Now, with the rotational magnetic field trapped inside the torroid, the liner field becomes accessible, and it is a very useful field indeed. It is electrical in nature. In actual fact, magnetism and electricity are not two separate things, but instead, they are different aspects of the same thing, so both should really be referred to as “electromagnetism”. Anyway, the linear field is easy to access once the rotational field has been removed. All that is necessary is to pulse it sharply. When that is done, real electricity is introduced into the MEG from the surrounding environment. The sharper the waveform, the greater the additional electrical input becomes. Hans Coler developed a device which he named the “Stromerzeuger” which consisted of an arrangement of magnets, flat coils and copper plates with a primary circuit powered by a small battery. The output from the secondary circuit was used to light a bank of lamps and it was claimed that the output power was many times the input power and could continue indefinitely. The apparatus principally consists of two parallel connected spools which being bi-filar wound in a special way, are magnetically linked together. One of these spools is composed of copper sheets (the spool is called the ‘plate spool’). The other one is made of a number of thin parallel connected isolated wires (called ‘spool winding’), running parallel to the plates, at small intervals. Both spools can be fed by separate batteries (6 Volt, 6.5 AHr were used). At least two batteries are needed to get the apparatus operating, but subsequently, one battery can be removed. The spools are arranged in two halves each by the bi-filar windings. 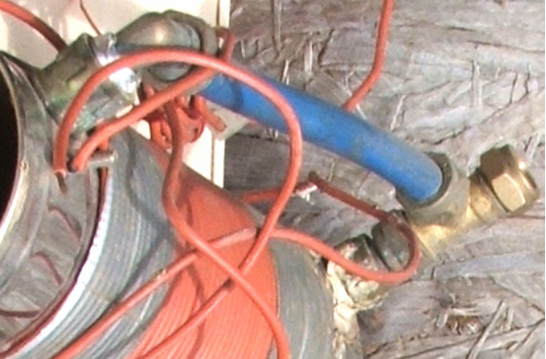 The plate spool also contains iron rods with silver wire connections. These rods are magnetised by a special battery through exciter windings. Electrically, the exciter winding is completely isolated from the other windings. Hans said that the production of energy takes place principally in these iron rods and the winding of the spools plays an essential part in the process. It should be mentioned that the spool circuit is powered up first. Initially, it took a current of 104 mA. The plates and exciter circuits are then switched on simultaneously. When this is done, the current in the spool circuit dropped from 104 mA to about 27 mA. It is claimed that on switching on the primary circuit, “separation of charges” takes place with M1 becoming positively charged and M2 becoming negatively charged and that these charges are “magnetically polarised” when they formed, owing to the presence of the magnets. When the primary circuit is switched off, a “reversing current” flows in the secondary but the magnets “do not exert a polarising effect on this reversal”. Two of the basic elements shown above are placed together making a double stage arrangement with the copper plates close together. Note that the M1 coil is reversed. The magnets carry current and so it would be reasonable to presume that they are iron magnets rather than ferrite, iron magnets being common sixty years ago, combined with the fact that ferrite magnets do not conduct current and neodymium types were not available in 1925. The secondary windings are both exactly equal and “wound in a direction such that, on switching the primary coil on”, the electrons flow from P1 to P2 and from F1 to F2. Again, this is a most peculiar statement as the direction of electron flow is not affected by the direction of winding of the coil, which suggests that the person making the report knew almost nothing about circuitry. It is highly likely therefore, that the brief report which has survived to today, is very vague and lacking in the essential details, the diagrams not indicating the bi-filar windings and straight wire lengths mentioned earlier. One of the very unusual statements made is that the F1/F2 circuit only induces the effect and that the excess power is drawn from the P1/P2 circuit. This is the basic working arrangement. More of these double stages can be added to provide higher outputs, with their outputs connected in parallel for greater current. The original document, with masterly ambiguity, states that to make this arrangement, two of the original circuits are placed one on top of the other and then promptly draws the arrangement, showing the M1 magnet poles reversed, which of course, contradicts what has just been stated. So, it is not clear if the diagram or the statement is correct, but the likelihood is that the diagram is right. For there to be any kind of continuous output from a transformer, the input cannot be DC in spite of the fact that dry-cell batteries were used to power the circuits (even though the output could be as high as six kilowatts). Coler stated that his research indicates that permanent magnets actually oscillate at about 180 kHz. If that is correct, then that could account for the magnetic induction produced in the circuit. If that is not what is relied on in this circuit, then the batteries have to be connected and disconnected continuously, and the technology being simple at that time, is seems likely that a relay would have been wired to self-oscillate as in the early electric bells. While that arrangement could have been used just to connect and disconnect the batteries with a relay contact, the relay coil will have generated high-voltage sharp pulses, generating short magnetic pulses of the type which causes an inflow of cold electricity into the circuit from the local ambient background. In each case, the battery current flows the normally closed relay contact, powering the relay winding, which opens the switch contact, disconnecting the relay and so closing the switch contact again. This causes rapid pulsing of the battery voltage and the relay coil generates high voltages, typically of some hundreds of volts. If the circuit connection is as shown in the first arrangement, then when the relay switch opens, high back-EMF voltage pulses will be fed to the circuit. On the other hand, if a relay with two separate contacts is used, the second relay switch contact can be used to connect the battery to the circuit and disconnect it again in a very rapid sequence. There is a group of people at this forum who are working towards making an operational version of this device. Information on the Coler devices is presented clearly at this web site.